Over one hundred and fifty volunteers from Youth Educational Services, as well as members from the surrounding community, gathered at Potawot Community Garden for this year’s celebration of César Chávez. The garden at Potawot is used to support and feed the UIHS community. On this bluebird day, our volunteers aided garden managers by splitting into groups to tackle various gardening and landscaping projects. A group of volunteers gardened and weeded at Mad River Hospital, while others mulched and weeded the main garden, and additional volunteers helped wheelbarrow mulch to their peers. After providing a great service alongside these well-deserving site members, the volunteers all sat down together to reflect on their work. These reflections aid volunteers in exploring our mission as a non-profit, community serving organization, and connecting our work with the work of our paralleling community partners. Ed Mata, a longstanding member of Potawot, reflected upon the importance of César Chávez’s work in laboring communities. Having known him personally, Ed told us of César’s dedication and passion towards fighting for the rights of labor workers. Potawot Community members expressed their thanks to our volunteers, as they reminded us that the work we did in half a day would have taken them a month to complete. It is reminders like these that keep Y.E.S. focused and motivated to harbor more positive change in our local community! 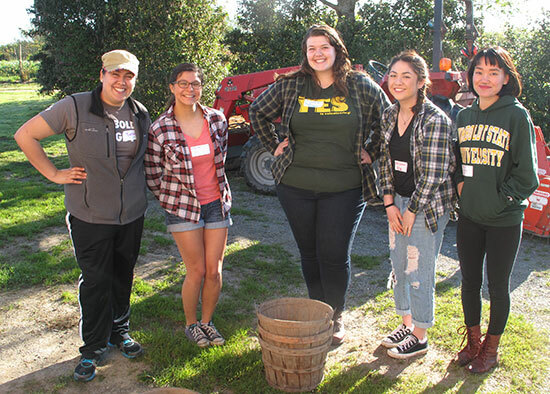 Overall, this year’s Serve-a-thon helped fund our volunteer screening costs, transformed the land and gardens of Potawot, and resulted in beaming reactions from volunteers and Potawot members alike!